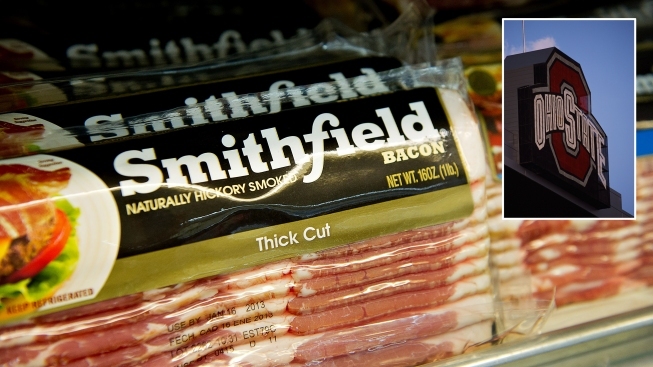 This Dec. 3, 2012, file photo, shows Smithfield Foods Inc. bacon on display for sale at a supermarket. Smithfield Foods Inc., the world's biggest pork processor, is sponsoring the OhioPork bacon vending machine on the OhioState campus through Dec. 13, 2018. Pre-dental student Shay Merritte loves "the overall Ohioness of it."